The Copts, a Christian sect in EGYPT, trace their history back almost 2,000 years. They follow customs and beliefs that they adopted long before Islam, the dominant religion in Egypt today, arrived in the region. According to tradition, Christianity was introduced to Egypt in the A.D. 40s. The city of ALEXANDRIA became a center of Christian scholarship, and the religion spread down the Nile river basin to NUBIA and southeast into ETHIOPIA. In the 200s Saint Antony, an Egyptian Copt, founded a movement to establish monastic communities—religious colonies where Christians could seek spiritual growth. Many Christians from Greece, Rome, Syria, Nubia, and Ethiopia spent time in Coptic monasteries. Over time, a conflict arose between the church in Rome and the Egyptian church. The church in Rome held that Jesus Christ had two separate natures—divine and human. The Egyptian church—along with certain other eastern churches—claimed instead that Christ had a single, divine nature. This eastern belief came to be known as Monophysite Christianity, from the Greek words for “single nature.” In 451 a church council held at Chalcedon (near present-day Istanbul) condemned the monophysite view. 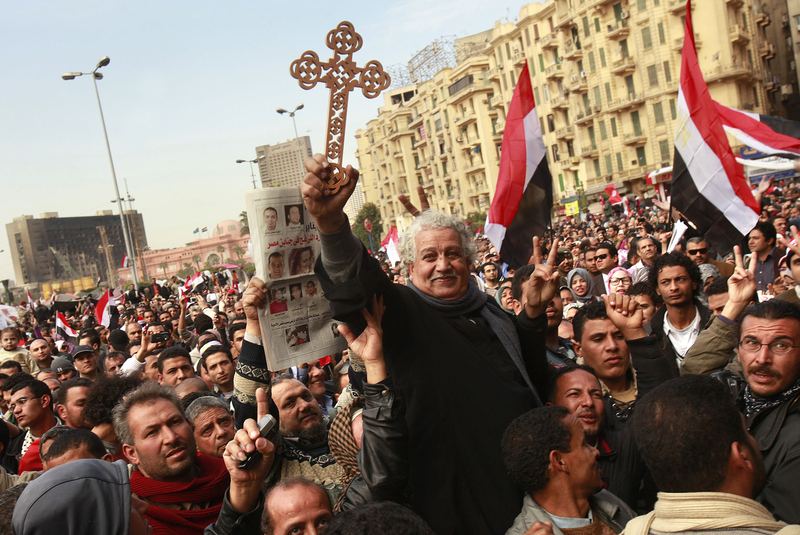 As a result, the Egyptian Christians and the other eastern churches split with Rome. In the 640s the ARABS conquered Egypt and introduced Islam to the region. They began to refer to the Egyptian Christians as “Copts.” Under Arab rule, the Copts slowly abandoned the use of their own language (a version of ancient Egyptian) and began to speak Arabic. Many Copts worked in the civil service or ran businesses.